Although I've heard about the benefits of turmeric, I've never tried it before. So I was so excited to try a bottle from Renew Actives! I couldn't wait to put turmeric supplements to the test to see if it would really relieve my aching joints and muscles and help with my daily pain. Turmeric, particularly curcumin, which is the main ingredient in turmeric that's been studied many times for it's health benefits may be the most effective nutritional supplement in existence. Many high-quality studies show that it has major benefits for your body and brain! Here are the main benefits of turmeric with curcumin. It also supports healthy joints, skin, hair, heart and mood. Turmeric has unique anti-oxidant qualities and may support your immune system and resistance to infections. It's one of the best anti-inflammatory agents found on Earth. In several studies, its potency has compared favorably to anti-inflammatory pharmaceutical drugs, except without the side effects! 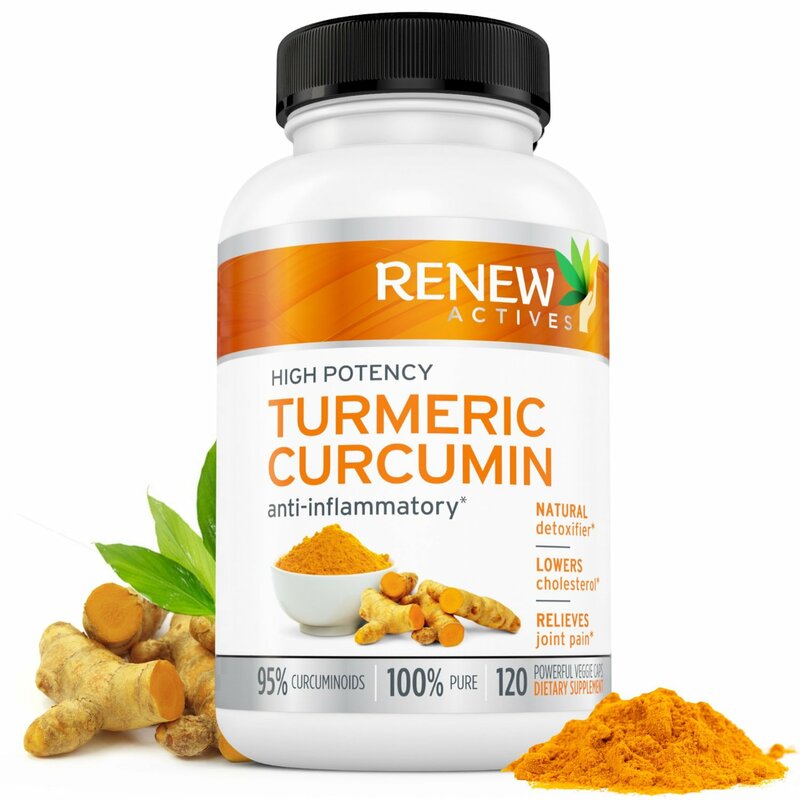 Renew Actives Turmeric Curcumin capsules with black pepper are a natural and pure antioxidant rich solution for chronic pain and inflammation. Renew Actives Turmeric Curcumin is a whole root extract and 100% natural with no GMO's and no additives. Their formulas are free of soy, milk, egg, shellfish, corn, wheat, peanuts and sugar. I highly recommend this supplement for anyone suffering from aches and pains or who just wants the amazing anti-viral, anti-inflammatory benefits of using turmeric. It's really improved my daily aches and pains, especially my joint pain and knee popping. I also have a popping noise from my knee from a previous injury and it's really improved while taking the supplement. I'll be taking turmeric from now on and I love the benefits of using turmeric. You can learn more about Renew Actives or get yours at Amazon.com. Turmeric is the nature medicine, it can boost skin glow.